The Canadian CubeSat Project is an initiative headed by the Canadian Space Agency to provide funding to professors in post-secondary institutions with an opportunity to engage their students in a real space mission. Together we with the teams at UBC and UVIC united under the name ORCAASAT, we applied for the grant to undertake a scientific calibration mission from a low earth orbit with a launch in 2021. The purpose of our project is to be an optical and radio calibration source for large scale scientific observations made on earth. SFU is leading the radio calibration payload with its purpose being the calibration of the the CHIME Radio telescope which is a revolutionary new observatory for researching topics such as the age and formation of the universe. 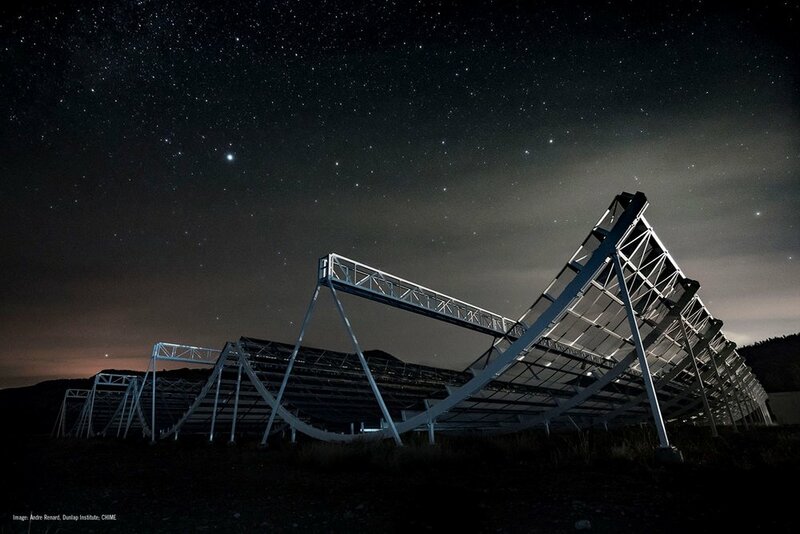 CHIME will map the history of the expansion rate of the universe by observing hydrogen gas in distant galaxies that were very strongly affected by Dark Energy. Our role is too ensure CHIME is able to observe results as accurately as possible. To do this we will be sending down a signal in the from a precisely tuned radio frequency when passing over CHIME in low earth orbit. UVIC will be developing the the optical calibration source which will come in the from of an integrating sphere. Overall, this project will contribute to global effort for scientific research into Dark Energy and all topics able to be researched optically.